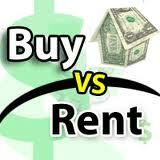 Are you currently renting a home in Houston? Have you considered buying a Houston home? If you have, you have come to the right place for more information. I am Kay Robbins, broker associate with RE/MAX Top Realty, leading real estate broker in the Houston area for our 26 years. My expertise expands over the geographic areas of inside the loop, the Medical center area, the Galleria, Memorial subdivisions, Katy and Sugarland. If you are interested in other areas, I know the best agents and can refer you to them! After 26 years in the business, my business is primarily referral based but welcome new clients to my real estate family! I would love to represent your best interest in the buying process and help you convert from a renter to a Houston homeowner! 1. Get preapproved by a Reputable Lender Before Starting the home seach! Knowing all the new guidelines and regulations in today's lending world is a challenge. It pays to go with the experts who can guide you in finding the right loan for you. If you do not have an experienced lender, get references from your real estate agent. Many agents have worked with lenders for years and know who the lenders with a proven track record. A good lender can advise you on credit scores and what the best loan, with the best interest rates are for you. 2. Do you want buyer representation or represent yourself? Know what your expectations are of your agent and what expertise the agent can provide to you. Whether you are buying a new home or a resale, it is important to find the right agent. Know how long your agent has been in business FULL time and which areas the agent specializes in. How long of a commitment do you need with your agent? What if you find a "For Sale by Owner". This are only some of the questions that are important to you. Make an appointment to meet and interview your agent. A good agent with be interviewing you, as well. 3. How do I begin the home search? What are your expectations and timeline for your purchase? Most homebuyers are searching online and look at hundreds of home before purchasing. Your agent should have a good online search website and direct you the most accurate and reliable site, in an effort to save you time. Time is the most precious commodity that all of us have!